Exeter is a city in Devon in Southwest England. The city is located on the River Exe, and is located about 37 miles (60 kilometers) to the Northeast of Plymouth, and 70 miles (110 kilometers) to the Southwest of Bristol. As of the 2011 census, the city had a population of 117,773. Exeter is a city in Devon in Southwest England. The city is located on the River Exe, and is about 37 miles (60 kilometers) Northeast of Plymouth, and 70 miles (110 kilometers) Southwest of Bristol. As of the 2011 census, Exeter had a population of 117,773. Exeter's history dates back to (at least) Roman times. It was the most southwesterly Roman fortified settlement in Britain. Since 2004, the Met Office, Britain's main weather forecasting organization, has been located in Exeter. The M5 motorway, which leads to Bristol and then Birmingham begins in Exeter. The M5 links to the M4 in Bristol, and from there to London. Alternatively, the A30 also goes to London via the A303 and M3. Westwards, the A38 links Exeter to Plymouth and Southeast Cornwall, and the A30 to North and West Cornwall. Rail routes from Exeter, connect the city to London Paddington and London Waterloo. Additionally, the Cross-Country route provides links to Bristol, Birmingham, Leeds, the Midlands, the North of England, and Scotland, as well as to other parts of Southwest England including Plymouth. Exeter International Airport is just to the East of Exeter. The airport offers scheduled flights to British and Irish airports, to Paris Charles de Gaulle, and Amsterdam Schipol Airport. Additionally, it also provides charter flights to various international destinations. Like other parts of Southwest England, Exeter has a temperate oceanic climate. Generally speaking, the region is on average milder and wetter than other the average for England, and the moderating effect of the sea, also means that seasonal variations is somewhat less marked than other parts of the UK. The first book in the charming Traveling Matchmaker series, featuring spinster Hannah Pym, determined to apply her matchmaking skills. A dead employer's legacy of five thousand pounds allows spinster Hannah Pym to resign from housekeeping and find adventure traveling the English countryside by coach. 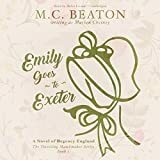 But the adventure soon finds Miss Pym traveling with Miss Emily Freemantle, a spoiled, violet-eyed beauty fleeing an arranged marriage to a rake she has never met. When Emily's darkly handsome betrothed boards their stage, Miss Pym is certain the girl was rash to bolt from this aristocratic catch! So, as soon as the travelers repair to an inn, Miss Pym begins her matchmaking. Although Lord Ranger Harley complains he'll not marry an ungrateful minx, Miss Pym suspects once she's marshaled the couple into sharing intimate household chores, all romantic knots will be untangled. The Perfect Choice: Lonely Planet Devon & Cornwall, our most comprehensive guide to Devon & Cornwall, is perfect for both exploring top sights and taking roads less travelled. Looking for more extensive coverage? Check out Lonely Planet England or Lonely Planet Great Britain. Use the pages of this notebook to document your adventures, experiences, thoughts, and memories. Have fun making lists of all the highlights and lowlights Exeter has to offer. This is the perfect place to journal your time with boots on the ground in Exeter! This is the perfect place to write down and organize everything you find fascinating about the city — which is why it's your diy city guide. Lonely Planet Devon & Cornwall is your passport to all the most relevant and up-to-date advice on what to see, what to skip, and what hidden discoveries await you. Eat your way through the region's booming food scene, relax on a secluded beach, or go wild on a windswept moor; all with your trusted travel companion. Get to the heart of Devon and Cornwall and begin your journey now! The Perfect Choice: Lonely Planet Devon & Cornwall, our most comprehensive guide to Devon and Cornwall, is perfect for those planning to both explore the top sights and take the road less travelled. Looking for more extensive coverage? Check out Lonely Planet's England guide. Authors: Written and researched by Lonely Planet, Oliver Berry, Belinda Dixon.